Tripping Over My Roots: Digitization of WWI Service Files at LAC Finally Reaches the Smiths! Digitization of WWI Service Files at LAC Finally Reaches the Smiths! Approximately three years ago I estimated, and hoped, that the project at Library and Archives Canada to digitize Canadian Expeditionary Force service files would reach my grandfather and his brother by the end of this year. Amazingly enough, I was right! Between November 15 and December 15, the archivists at LAC digitized a little over 150 boxes of files which brought them to Box 9059, my grandfather's file was in Box 9049 and his brother's file was in Box 9058 - they just made it! Reading through the WWII files of my grandfather and another granduncle had taught me that the contents of these WWI files could be anything from uninteresting administrative paperwork to interesting but disturbing details about their experiences in the war. Before seeing his file, I knew that my grandfather's older brother, Herbert Austin Smith, spent time as a prisoner of war, but like so many before and after him, it seems that he did not speak much of his experiences. Certainly, my mother had never heard any details. I was hoping his file could tell me more and it did. This (3) and other forms in Uncle Herb's file gave the place and date of his capture; the 2nd or 3rd of June, 1916 at Sanctuary Wood in Ypres, Belgium, the site of some well-known battles and now a very interesting looking museum. The entry on the card above noting that a telegram had been sent to my great-grandfather, Hon. George R. Smith made me so sad for my great-grandparents and the rest of the family. I can only wonder exactly how much they knew during the two and a half long years of Uncle Herb's captivity and how much the stress of that time may have contributed to my great-grandfather's death in 1922 at only 62-years-old. 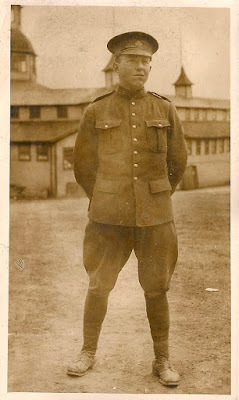 After his capture, Uncle Herb was taken from Belgium to a camp in Dulmen, Germany and then to another in Minden, Germany. I'll need to do more research to learn about these camps, but there was a website that said that the camp at Minden was among the worst. 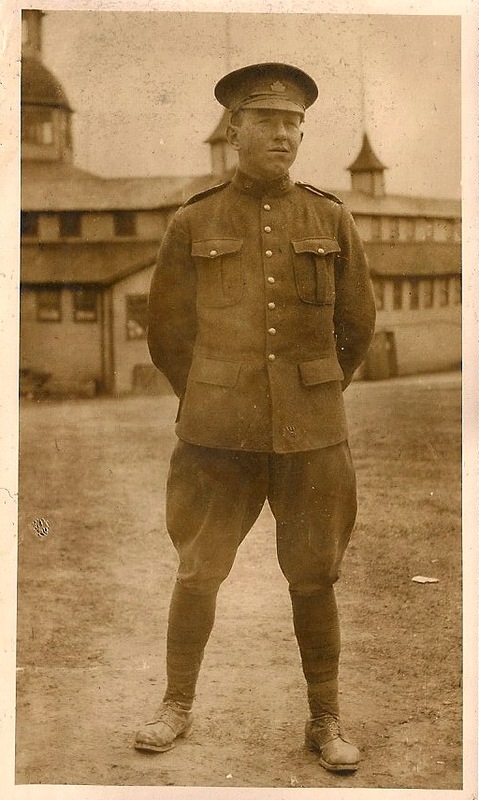 I also found an interesting site for anyone who had a family member who spent time as a POW during WWI. The digital archives of the ICRC (International Committee of the Red Cross) Prisoners of the First World War. There I found scans from a book (4) that the Germans sent to the Red Cross containing names of prisoners who arrived at the camp between 10 August and 11 September 1916. Sadly, some of the last forms contained in Uncle Herb's file are from his discharge in 1919 due to medical unfitness. It seems that the was suffering from what we would now call PTS. He may have been having symptoms before his capture at Ypres, but after two and a half years of forced labor under harsh conditions without enough to eat, he was almost certainly was. In an upcoming post, I will share what I learned about my grandfather's service. For today, I will just sit with this new information about Uncle Herb and remember the sacrifice that he, like so many others, made for all of us. 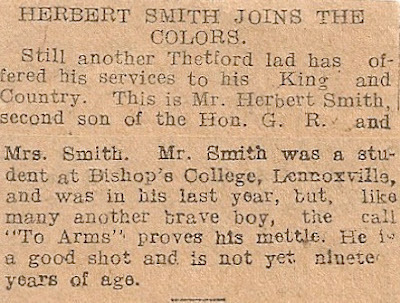 (1) Smith, Herbert "Herbert Smith Joins The Colors." Undated clipping, ca. 1915, from unidentified newspaper; Smith Family Papers, Privately held by Anna C. Matthews, [ADDRESS FOR PRIVATE USE,] Rockville Centre, NY, 2017. 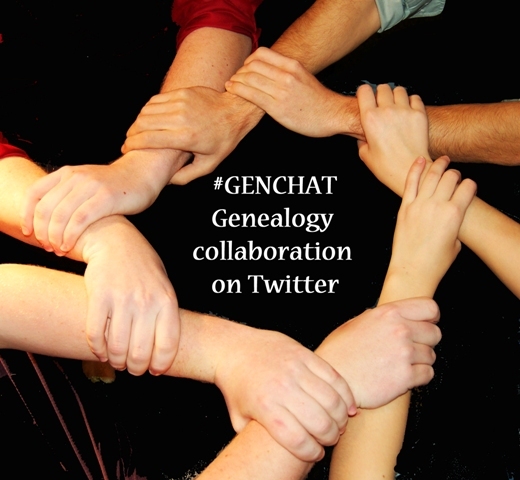 Inherited in 1996 by Janet (Smith) Matthews from her mother Marjorie (Dean) Smith, sister-in-law of Herbert Smith. Janet gave the clipping to her daughter, Anna C. Matthews, in 2008. 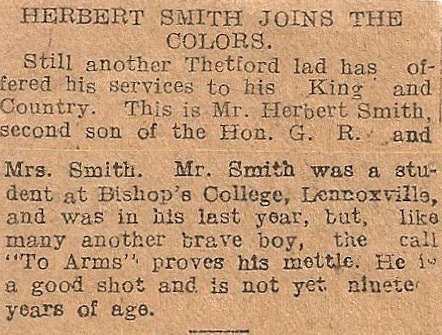 (2) Smith, Herbert Austin. Photograph ca. 1915, privately held by Anna C. Matthews, [ADDRESS FOR PRIVATE USE,] Rockville Centre, NY, 2017. The original album passed from the photographer and subject's brother, George W. Smith, to his wife, then to his daughter and is now in the possession of his granddaughter, Anna C. Matthews. Captions throughout the album indicated that the photographs in it were taken between 1912 and 1917. There is no caption in the album for this photograph but Herbert Smith was identified in other photographs and by his niece, Janet (Smith) Matthews. He and George W. were the only Smiths to serve in WWI.